Other participants representing South Hills at this year’s PBL Conference were Val Sukovatitsyn, Anastasia Shawley, Darius Morgan (Professional PBL Member), and Ann Davis (PBL Club Advisor). A few days later, fellow students, faculty, and staff gathered in the lobby at the South Hills main campus in State College to celebrate and congratulate the Phi Beta Lambda (PBL) State Conference winners' recent victories. 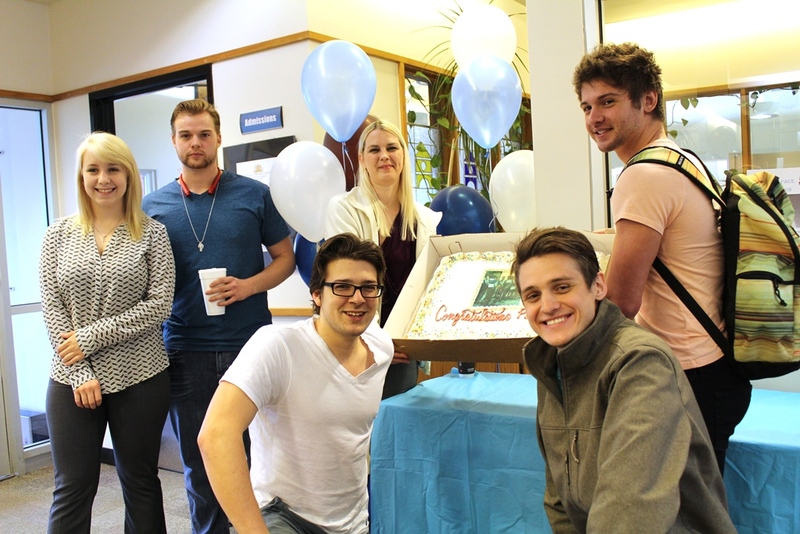 The PBL members were presented with a cake that was large enough for everyone to share.